The Schwartz & Salivar Legal Team provides comprehensive legal services to companies throughout Palm Beach and Broward counties. From entity formation to dissolution and for every matter in between, our Boca Raton business attorneys provide the advice, assistance and representation needed to help your business grow and thrive. The Schwartz & Salivar Legal Team advises new businesses on the proper corporate legal structure to meet their needs, whether corporation, partnership, limited liability company, or other legal business entity. We take the time to learn your immediate and long-term goals, and discuss with you the implications of different business structures on issues such as taxation, liability, management and control, transfer and business succession. We draft partnership agreements, articles of incorporation, by-laws and LLC operating agreements, and prepare and file all necessary documents to establish your company as a legal business entity licensed to do business in the state of Florida and beyond. Our attorneys also provide assistance with the vast range of contracts and commercial transactions your company encounters. We negotiate, draft and review commercial leases, real estate purchases and sales, employment agreements, company policies and handbooks, vendor and supplier contracts, customer/client agreements, and more. By conducting transactions right from the start, we help ensure that your needs and goals are met and properly reflected in the contract, and that your rights are adequately protected should a dispute later arise. Given the multitude of business dealings that continually occur with customers, clients, vendors, suppliers, employees and contractors, etc., it is not surprising that disputes will inevitably arise from time to time. When formal legal intervention is necessary to deal with the matter, trust the experienced and successful litigators at Schwartz & Salivar Legal Team to provide knowledgeable, strategic and forceful representation on your behalf. From the drafting of demand letters to the institution of litigation and representation at trial, we seek to resolve the dispute at the earliest and most cost-effective stage, but always with your best interests foremost in mind. The firm is equipped to deal with the full range of breach of contract and business tort litigation, including allegations of fraud, unfair competition, tortious interference, theft of trade secrets, deceptive trade practices and more. Smart business owners recognize the absolute need for legal assistance to ensure compliance with state and federal regulations, to minimize disputes with employees, customers or competitors, and to effectively deal with disputes as they arise. Our Outside General Counsel program gives business owners access to an attorney whenever needed, without having to worry about being billed every time they pick up the phone. The Schwartz & Salivar Legal Team is there for a real estate purchase, sale or lease; an emergency injunction; or for representation in a partnership dispute or corporate dissolution. Our attorneys even help business owners and their families through business succession planning, estate planning and probate matters. 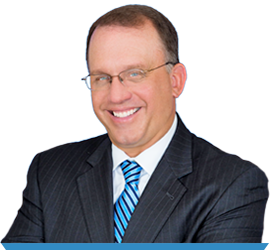 The Schwartz & Salivar Legal Team in Boca Raton is truly here for the life of your business. For skilled, knowledgeable, professional assistance in any business transaction or litigation matter in Boca Raton, Fort Lauderdale and surrounding areas, contact the experienced Boca Raton business attorneys at Schwartz & Salivar Legal Team at 561-347-6767.